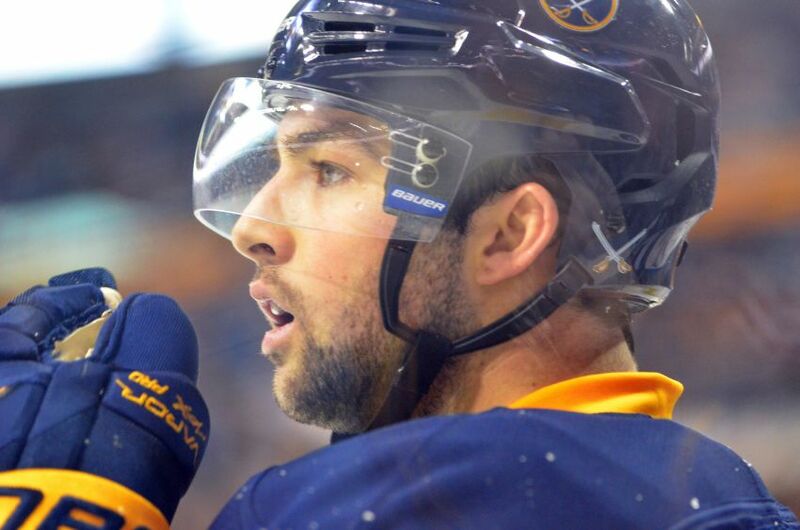 BUFFALO – There was no straight path to the NHL for Cory Conacher. About 10 years ago, after the AAA Burlington Cougars cut him, the diminutive Sabres winger figured his hockey career was over. But the 5-foot-8 Conacher had a chip on his shoulder that would help buoy him to the NHL. Conacher thrived playing down a level in AA – “I had the most fun and the time of my life down there,” he said – eventually moved up and later earned a spot at Canisius College, becoming an NCAA star. The 24-year-old cracked the NHL last season with the Tampa Bay Lightning, briefly turning heads on a line with Martin St. Louis, his idol, and Steven Stamkos. Barely a year later, having been let loose by the Ottawa Senators earlier this month, Conacher is already on his third team. He hadn’t scored a goal since Dec. 28 entering Saturday’s game against the New York Islanders. But Conacher is generating some rare buzz for a waiver addition. Buffalo claims the Burlington, Ont., native as its own. He’s skating on the first line beside Tyler Ennis and Drew Stafford. Canisius wound up being the perfect spot for Conacher, who wanted to play Division-I hockey badly, to develop into a professional talent. Canisius was close to home. Golden Griffins coach Dave Smith made him feel comfortable. Conacher knew he’d receive playing time. Conacher had been drafted by the Quebec Major Junior Hockey League’s Moncton Wildcats. He also could’ve waited for large schools like Boston College or Boston University to come after him. Conacher “wanted to go somewhere and play and make an impact on the team and play big minutes.” Canisius’ small size didn’t matter. “It was just the fact I want to keep playing,” Conacher said. Conacher developed into the most decorated local NCAA hockey player ever, accumulating 62 goals and 148 points in four seasons. Undrafted, Conacher then bounced around the minors shortly after his senior season ended in 2010-11. The AHL Rochester Americans, then under an affiliation with the Florida Panthers, signed him for a weekend. He went down to the ECHL’s Cincinnati Cyclones and scored five goals and seven points in three games before earning a promotion to the Milwaukee Admirals, who shared the Cyclones with Florida. Smith knows former Hartford Whalers star Pat Verbeek, the Lightning’s assistant general manager. Conacher received an AHL contract from Tampa Bay that summer. Within months, Conacher had morphed into a top NHL prospect with the Norfolk Admirals. Conacher enjoyed one of the greatest AHL seasons ever in 2011-12, scoring 39 goals and 80 points while winning league MVP and rookie of the year honors. The Admirals won the Calder Cup and a record 28 straight games during the regular season. So was playing beside the 5-foot-8 St. Louis, another undrafted college star, last season. With defensemen Tyler Myers and Alexander Sulzer out, the Sabres recalled rookie Rasmus Ristolainen from Rochester on Saturday. They also have rookie Chad Ruhwedel on emergency recall. Myers missed his man trying to finish a hit in Thursday’s 4-2 loss in Carolina. He could also sit out tonight’s game, interim Sabres coach Ted Nolan said. Myers could play later this week, Nolan said. Sulzer (upper body) left Thursday’s game after hitting his head. The 19-year-old Ristolainen, the eighth overall pick in June, compiled one goal and four penalty minutes in 19 games after making the Sabres out of training camp. He played one game under Nolan before the Sabres sent him to the AHL. The Finn has six goals, 18 points and 20 penalty minutes in 30 games with the Americans.